These are two hand quilted cushions I made. 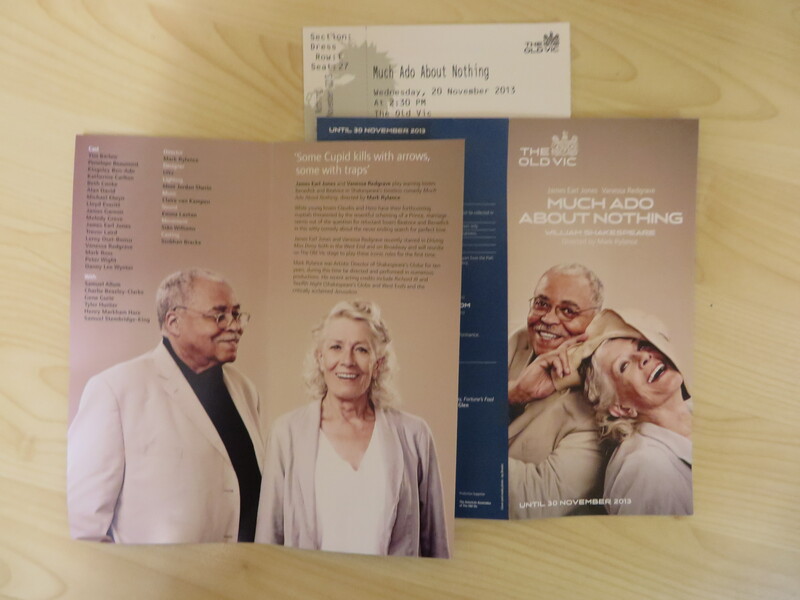 I recently went to see William Shakespeare’s “Much Ado About Nothing” at the Old Vic theatre. It starred Vanessa Redgrave and James Earl Jones. Here are pictures of bags I made. The first one is tapestry on plastic canvas. It was very relaxing work. The second one was inspired from Indian embroidery. The third one was made from knitting with Raffia threads. Inside Morley College cafe and restaurant there are 3 paintings about Chaucer’s Canterbury Tales. The below shows pictures from a painting made in 1963, oil on wood panel, by Edward Bawden (1903-1989). It features The Tale of Sir Topaz, The Clerk’s Tale and The Pardoner’s Tale. This second painting, also by Edward Bawden, features The Wife of Bath’s Tale and The Nun’s Priest’s Tale. The third painting is by Justin Todd (b.1922). It was made in 1961, oil on wood panel. It features The Reeve’s Tale, The Merchant’s Tale and The Miller’s Tale. I visited the National Portrait Gallery earlier this year and here a few pictures. In 2005 I worked with elderly people at a retirement home. We made a blanket, which we donated to a local Sense shop. I gave them wool and they knitted squares of 40 stitches each. Here are some pictures of patterns I have seen when I have been out and about.